← Exciting Open Studio Event! Subscriber Inspiration Colors for March! And beautiful it certainly is. 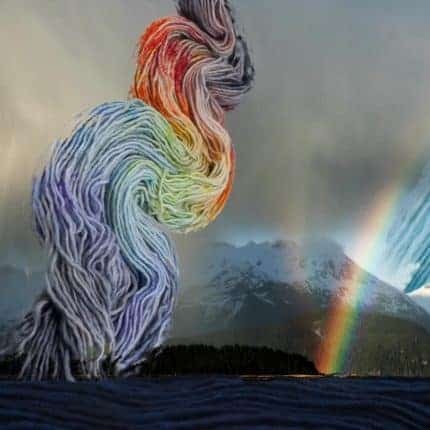 I have always been a complete sucker for rainbows. They’re just magical (whatever the real science behind them may be, I prefer to think of them as magic). I found myself coming back to this photo over and over again, loving the interplay of colors, the haziness of the storm clouds, the tiny strip of sun along the coast, and the clear, bright sky peeking out from behind. And that seems to be how it works: folks send me photos, and I look at all of them over and over again until, finally, one seems to say “do me, do me!” louder than the others. 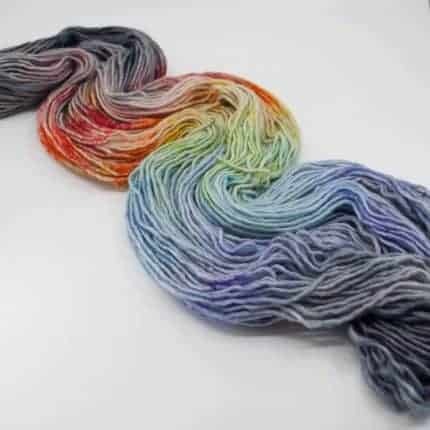 First, the primary inspiration colorway, “Rainbow Over Juneau,” features a rainbow of colors (both softly speckled and blended) applied in the correct order (ROY G BIV) across the center of the skein, with cloudy grays at either end. 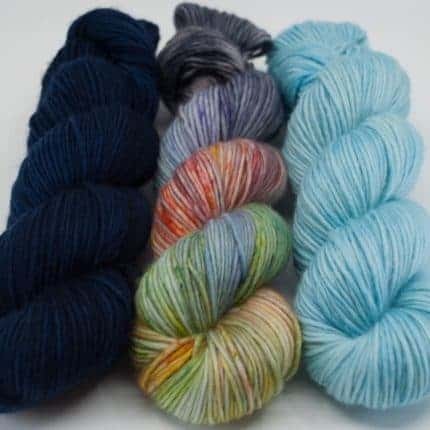 Next, “Rainbow Deconstructed” takes the colors of the rainbow, shakes them up and speckles them indiscriminately on a base of soft grays and creamy white. 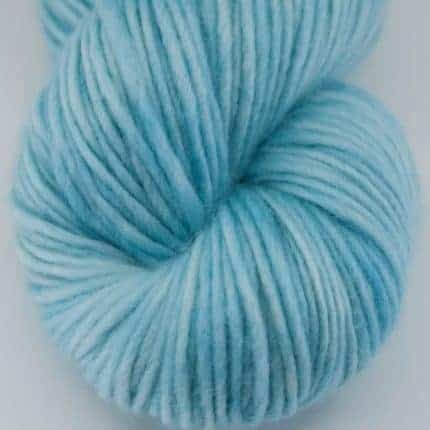 Then two tonal solid colorways compliment these rainbow skeins: “Skies After the Rain” is a soft, clear blue reminiscent of that sky peeping through, and “Stormy Waters” is inspired by the shadowed water under the storm clouds (I took some artistic license with this and added more blue to it, because I wanted a colorway more blue than charcoal). These limited edition colorways will be available for pre-order through Friday, March 30, 2018. Orders will ship approximately three weeks after the listing closes. 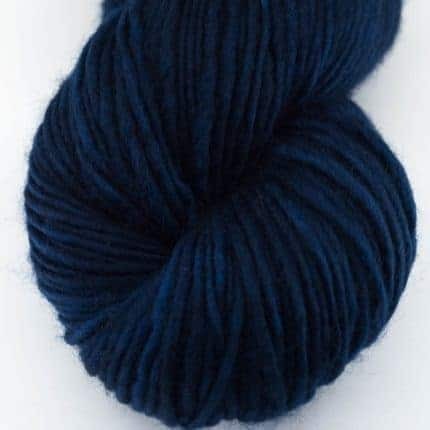 Subscriber Color Inspirations happen on a monthly basis, and whoever sends me the winning photo receives a free skein of their own special yarn! Photos can be sent until the end of each month for the following month. 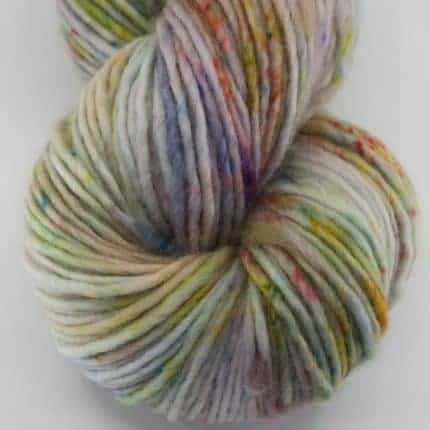 The only rule is you have to be a Spirit Trail Fiberworks newsletter subscriber to play. Subscribe to my newsletter (link at the top of my shop homepage) if you’d like to play along!